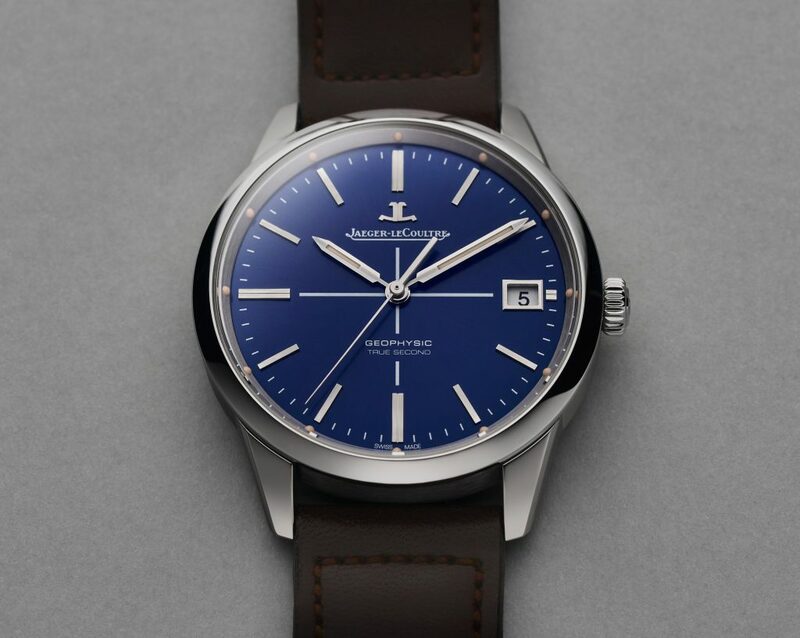 Jaeger-LeCoultre Geophysic True Second Limited Edition Blue watch, retail price: $9,900. 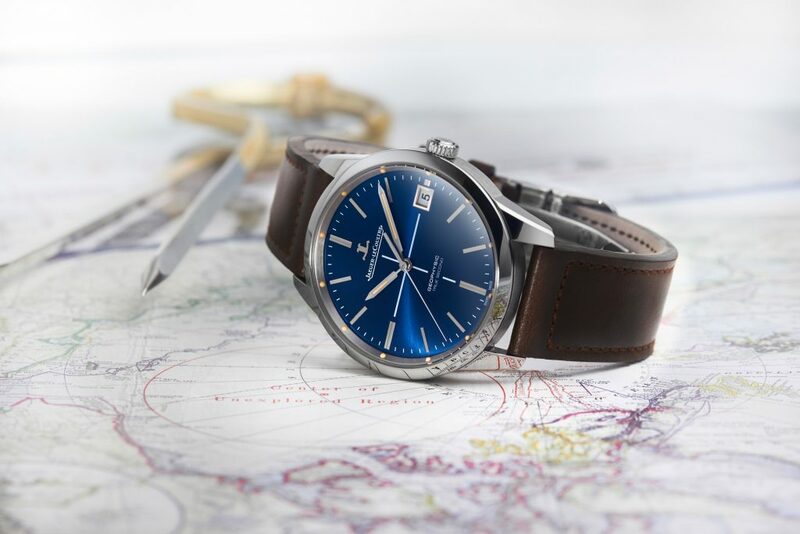 With SIHH around the corner, Jaeger-LeCoultre releases a very special watch: the Geophysic True Second Limited Edition Blue. Created in a series of just 100 pieces, the latest rendition is endowed with a stunning blue dial and to say it ‘pops’ would be an understatement. The inspiration for todays piece dates to the chronometer created in 1958 for the International Geophysical Year. The watch created then was gifted to the first man that led an expedition under the North Pole, Captain William Robert Anderson. It was in 2015 that Jaeger-LeCoultre first released the Geophysic True Second, and it was an immediate hit. Now, the Geophysic True Second Limited Edition Blue offers an ocean blue dial meant to conjure the fathomless depths explored during the International Geophysic Year. Adding to the visual depth of the Geophysic True Second Limited Edition Blue, is the fact that the dial has been given a sunburst pattern that helps to create a play of light and enhances the alternating brushed and polished finishes of the case. Intersecting the hour and minute hands is a central cross. The central cross is a historic nod to the 1958 Geophysic model and reminiscent of location mapping instruments. The triple faceted hour and minute hands and the minute track around the flange have been given a luminescent treatment and are easily legible in low light scenarios. The brown calfskin watch strap has been patina’d to enhance the vintage aesthetics of the watch. Jaeger-LeCoultre Geophysic True Second Limited Edition Blue watch is powered by the 275-part Caliber 770. The Geophysic True Second Limited Edition Blue is powered by the Jaeger-LeCoultre Caliber 770 and has been given a true second complication. The complication, which is not often seen in automatic pieces, beats out the rhythm of every second. 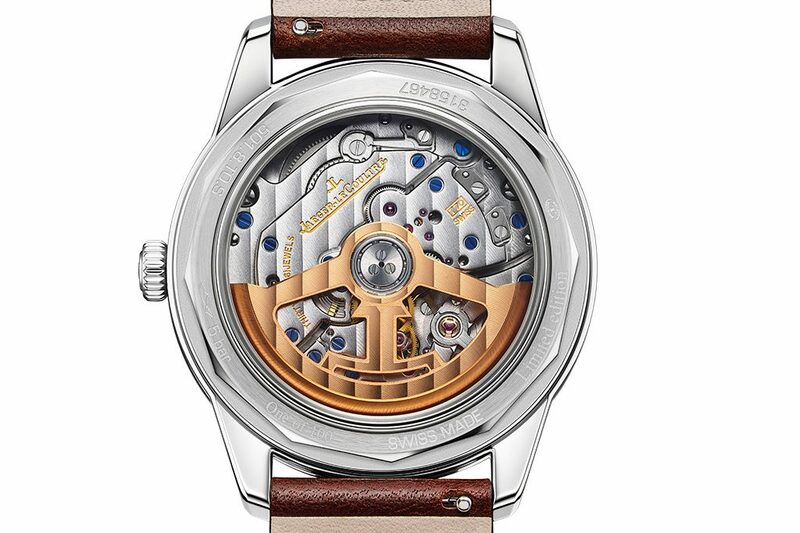 The Gyrolab balance wheel is of a non-circular design and replicates the Jaeger-LeCoultre anchor symbol. The complication adds to accuracy of the piece. The watch also features a jumping hour which is set via the crown and when adjusted, does not affect the timing of the minute hand. Short of a world timer or GMT watch, this is a very handy function for the traveling business person. The caliber’s oscillating weight is made of pink gold and is shaped like an anchor. The movement is visible via sapphire crystal case-back. Each of the limited edition pieces are numbered and has an engraving around the perimeter with the inscription “limited edition – X of 100.” It retails for $9,900. 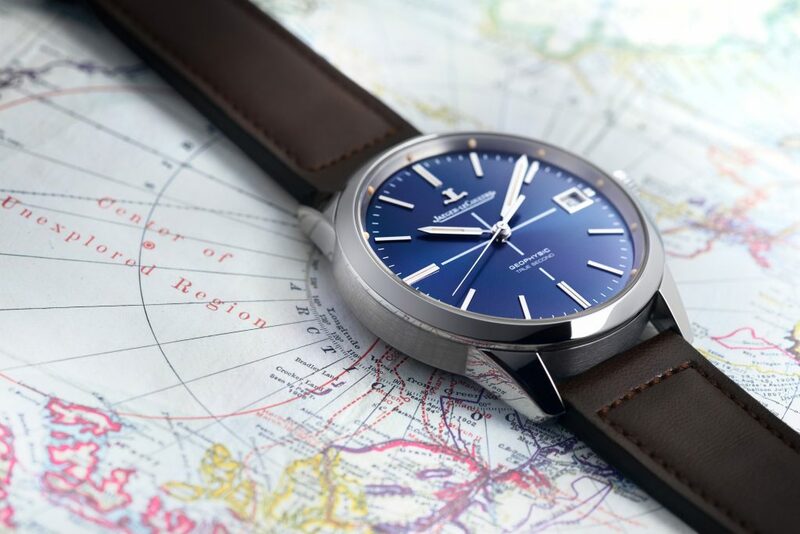 Jaeger-LeCoultre Geophysic True Second Limited Edition Blue watch is crafted in stainless steel. 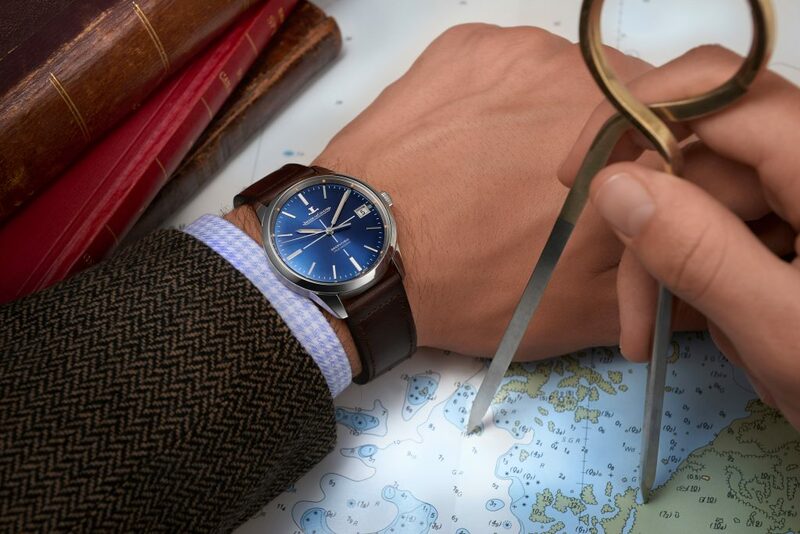 Jaeger-LeCoultre Geophysic True Second Limited Edition Blue watch is inspired by the past.